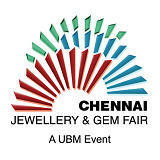 "International Exhibition for Gems & Jewellery Industry." Gem & Jewellery India International Exhibition includes fine finished jewelries, gemstone manufacturing services, pearl manufacturing services, silver manufacturing services, diamond manufacturing services, machinery and equipment for making jewelry, and etc. I am 3rd generation jewelry Manufacturer, also into all types of jewelry making machine and consultancy, hence iijs updates me with jewelry industries development.Had been visiting iijs for more than 12 years. You cannot call all showes as exhibition Where is the branded product ?where is the collection?Where is the original ?manafacturers? Wonderful, important and usefull event for silver & gold Jewellers in South India, my thanks forEvent organaiser! The participants Gem and Jewellery India International Exhibition GJIIE will exhibit the following equipments and services, Fine Finished Gold Jewellery, Gemstones, Pearls, Diamonds, Silver Jewellery, Machinery and Equipment, Packaging and Display, Ancillary Service Providers, Hallmarkers, Assayers, Jewellery Retail Chains, Publications, Websites. Season 4 Residences - Nungambak..
FabHotel Prime Santhome Inn Myl..